It can be said that Bert is the Godfather of the Longboat Roadrunners. As one of the founding members of the club back in 1980, Bert’s involvement with the club has been an incredible, long, accomplished and successful journey. In the 36 years of the club, he held every position on the club executive except Secretary and Social Director. He was the club’s Newsletter Editor for 10 years. Some of his editorials are legendary, having stirred passion, enlightened members, and even almost led to his impeachment. But as always Bert always stood unwavering by his principles and values with the interests of the club and the sport at heart. 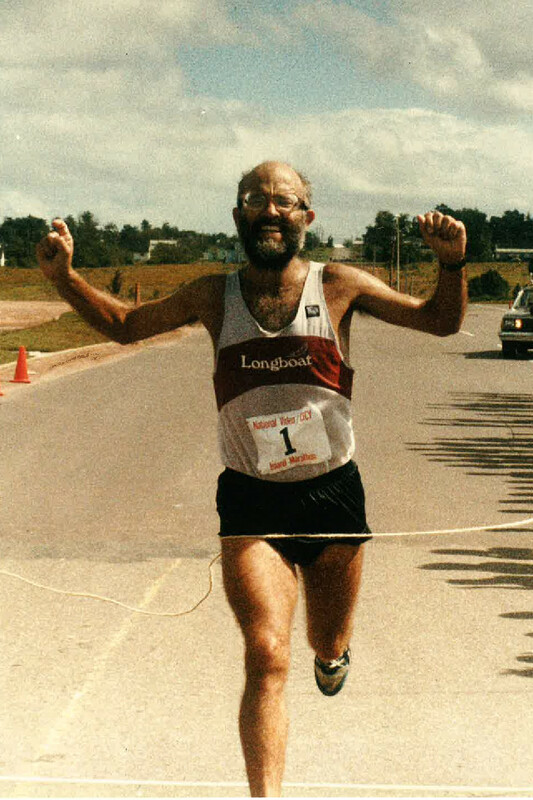 Among Bert’s accomplishments, as a Race Coordinator in 1982 he put together a Longboat team for the famous Ottawa to Kingston 120 mile ten person relay, with a stellar plan catering to individual strengths of our members. The club defeated the highly favored and talented Queen’s University varsity team that had several national level runners, winning by exactly 120 seconds or one second per mile! That achievement essentially put Longboat on the competitive map in the province, instilling a long lasting confidence to its membership. Bert also captained many high quality medal winning mega team performances at the Peterborough half marathon 20 person relays. Other achievements that Bert is very proud of were the re-establishment of the Sunset Shuffle 6 km race held on Ward’s Island every August; the creation of the Club mile, the One Hour on the Track, the Club cross country championship race, and participation in the Ontario Masters’ cross country series. Bert has also served as club coach, assisting many of our members to stellar accomplishments. Bert has always been a champion of road racing in the GTA and Ontario, often attending meetings on issues that would impact the sport, both as an interested individual and as a club representative. In addition to all this, Bert found the time to coach the Riverdale High School cross country and track teams while teaching at the school. 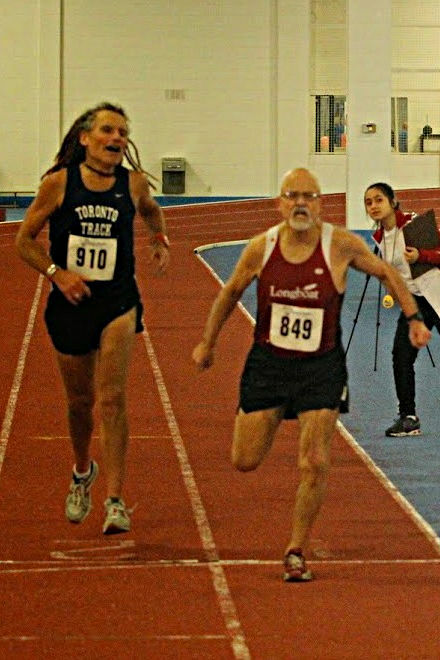 Upon his retirement, Bert has continued to voluntarily continue coaching the cross country team each fall.